Looking for something quick and easy to do with your chicken? 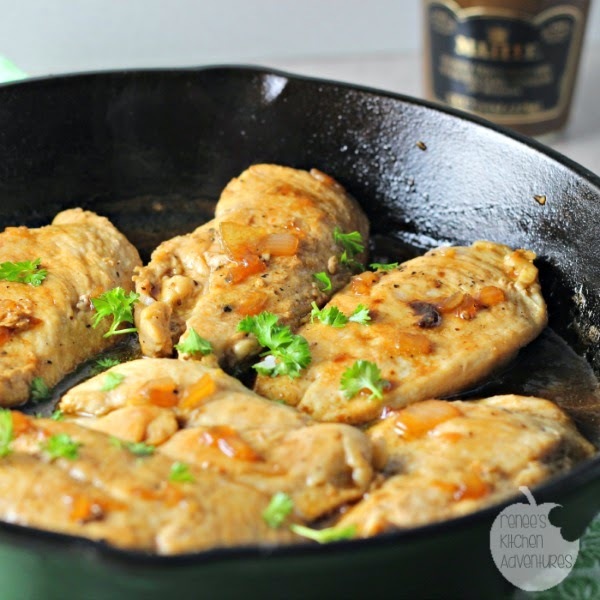 Look no further, because this Easy Skillet Chicken with Mustard Beer Sauce is your answer! 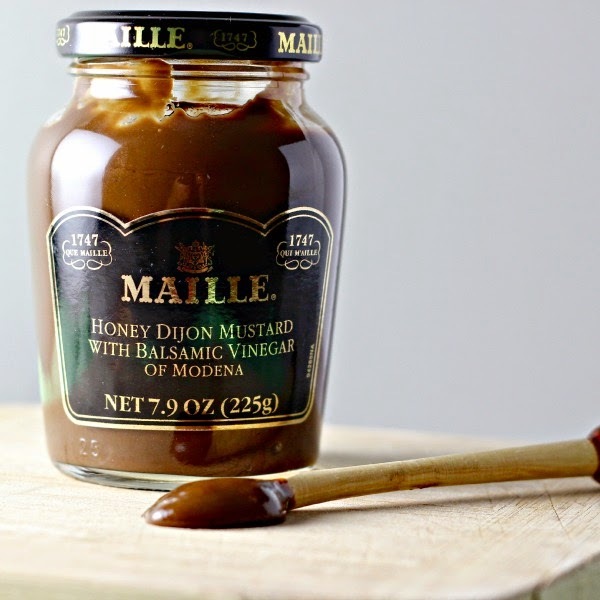 Full of flavor thanks to a little of your favorite brew and a new variety of Maille mustard, Honey Dijon with Balsamic Vinegar. (Disclaimer: I was given product to do this review. The opinions and photos are 100% mine.) 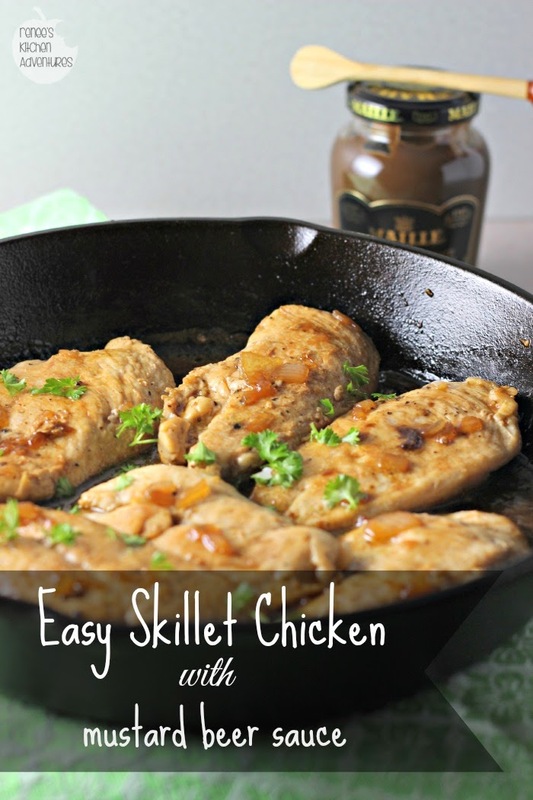 This easy skillet chicken comes together in no time and is made with just a few ingredients. I served mine with some oven roasted potatoes and mixed vegetables. The sauce is really the star of this dish. We had no leftovers. Maille knows their mustard. They've been making high quality products in France since 1747. Honey Dijon Mustard with Balsamic Vinegar is the newest flavor to join their line available in the US. It's got the tang of a Dijon, with the sweetness of honey and the deep flavor of balsamic vinegar, making it a winning choice for this dish or any where you choose to use it. I don't know why, but the combination of beer and mustard just reminds me of Fall. This sauce is so good, you guys. A little tart and a little sweet at the same time. 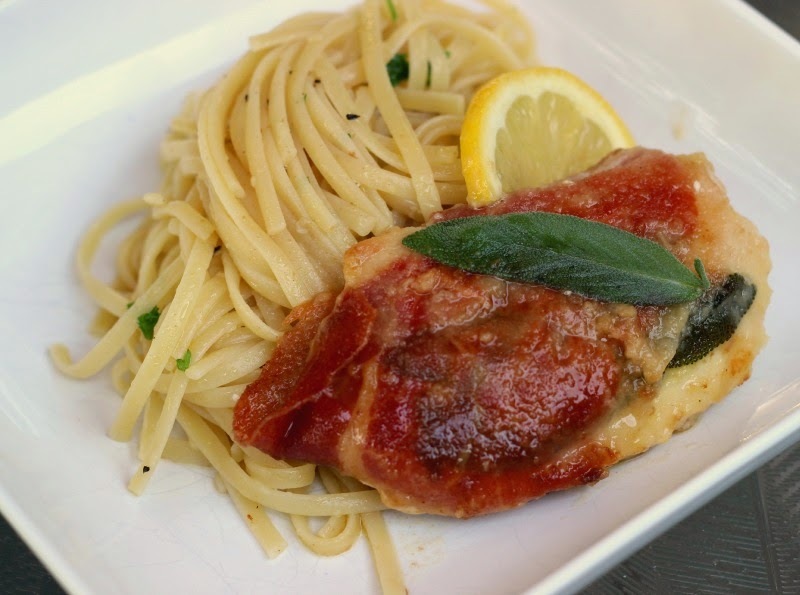 It really kicked up boring old boneless, skinless chicken breasts to a new level of goodness in a record amount of time. Be sure to check out the entire line of Maille products available in the US! 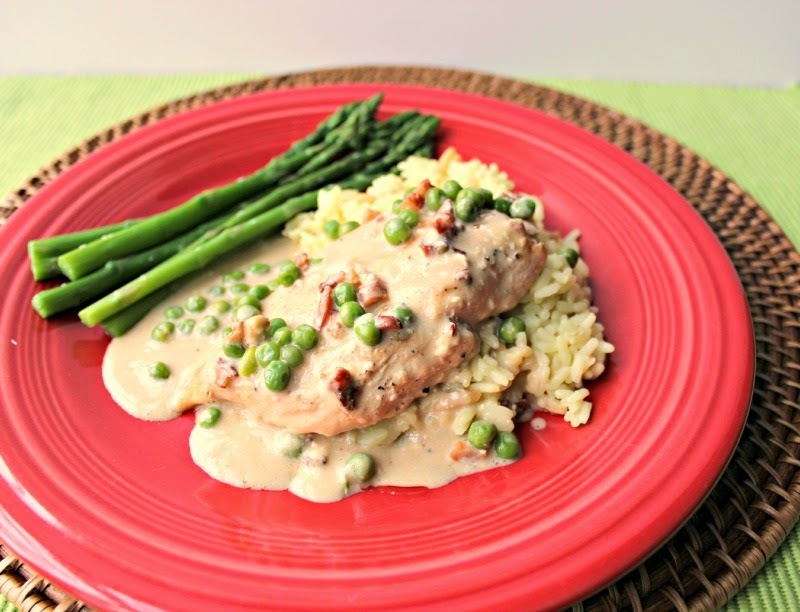 Boneless, skinless chicken breasts are quickly sauted and complimented with a sweet/tart mustard beer sauce to make a quick, delicious meal anytime! In large heavy skillet, heat oil until hot on med./high heat. Season chicken with salt and pepper and add to hot skillet. Brown chicken on both sides (about 6 minutes per side) or until chicken is done (internal temp 165 degrees F) Remove chicken to platter and keep warm. Add onion to hot pan and saute until soft and translucent (about 6-7 minutes) and starts to brown. In small bowl, combine the beer, mustard, soy sauce, and honey. Pour into hot pan over the onion. Mixture will bubble up a little. Stir to loosen any brown bits from the bottom of the pan. Bring to a boil and allow to cook until the mixture has reduced by half and is somewhat thickened. Turn off heat. 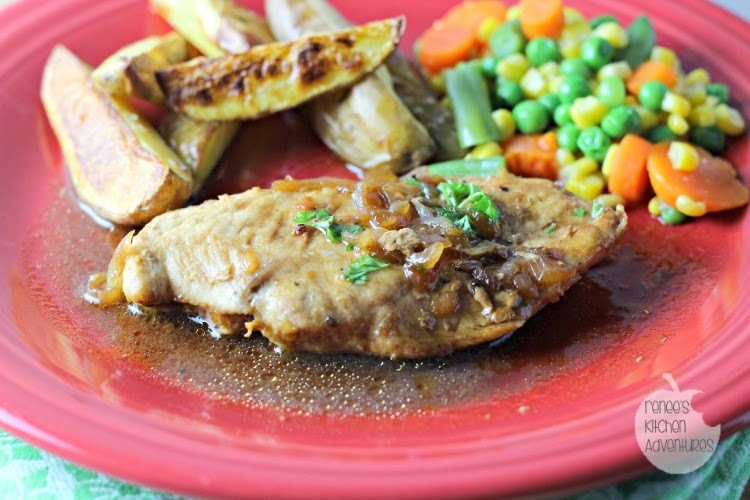 Return reserved chicken to skillet and coat both sides with sauce. Sprinkle with fresh chopped parsley and serve immediately. Other quick and easy chicken recipes you might enjoy! thank you!! It is very flavorful!! I have to get some of this honey mustard, the chicken looks amazing! if you like honey mustard, this one is the one to buy. It's delicious! I've never tried Maille prroducts, so I am excited to try this, especally with the combination of Honey Mustard and Balsamic Vinegar - yum! I hope that you can find them. I love many of their mustards. Sounds wonderful and looks delicious. I love the Maille Mustards also, especially the stone ground one! yes! the stone ground one is delicious, I agree! Thanks for stopping by Medeja! The sauce is really what makes this dish! I love mustard and chicken, such a great flavor combo. And that honey mustard balsamic vinegar stuff looks awesome! Great photos. 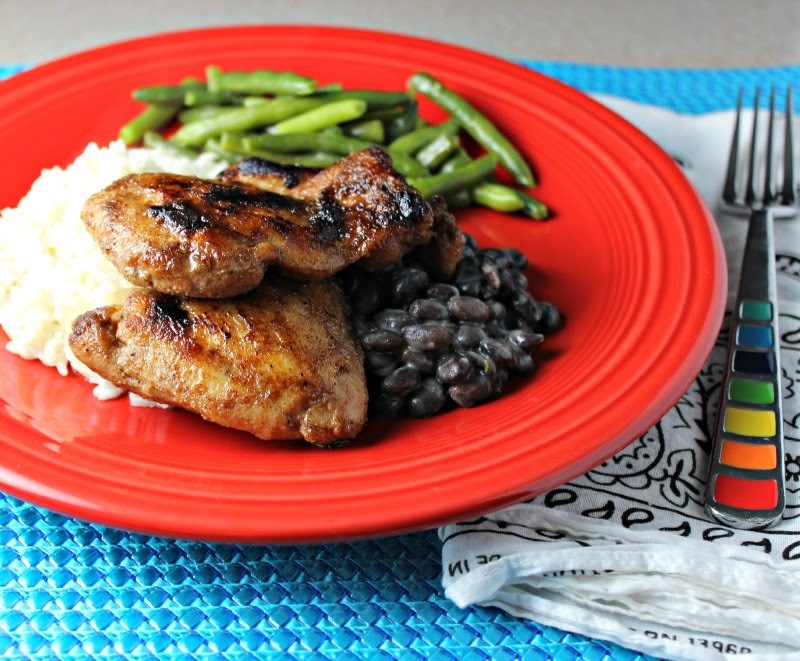 These is my favorite type of recipe - simple ingredients, one skillet, and ready in 30 minutes. Looks perfect for a cozy dinner on a chilly fall evening! Mine too. Simple yet delicious! It's really good Roz. I know you'd love it. Thank you for stopping by Shelley! The flavor of the sauce is so good. I think you will love it! This delicious looking chicken combines all of my favorite things: chicken, mustard, and beer. I'm going to be looking for Maille's balsamic mustard on the shelves here. I'm a fellow Weight Watcher too! So excited to have found you today.